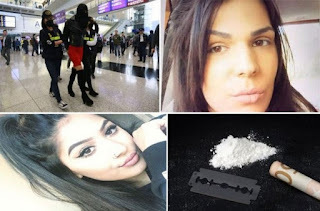 For the past nine months Irene Melissaropoulou, the 19-year-old Greek model that was caught smuggling drugs at Hong Kong airport, has languished in prison. Melissaropoulou was arrested for carrying over 2kg of high purity cocaine. Drug trafficking is a serious crime in Hong Kong, punishable by life imprisonment. If she is ultimately proven guilty on the quantity and the purity of the drugs she was carrying, she would serve 23-26 years in prison. If she pleads guilty the sentence falls to 16 years. Her friends from Lesvos, where she is from, said she had fallen victim to a rigged travel contest by drug traffickers.